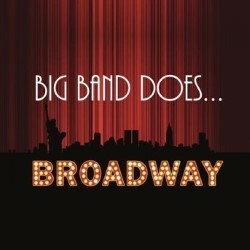 BBD Productions make their debut at the Fringe with Big Band Does… Broadway. Join an 18-piece band and a cast of singers and dancers to journey through Broadway’s greatest hits from the 40s to current day. From Company to A Chorus Line, Hairspray to Hamilton, and West Side Story to Wicked we can guarantee there will be something for everyone in this high energy, fast paced celebration of musical theatre.